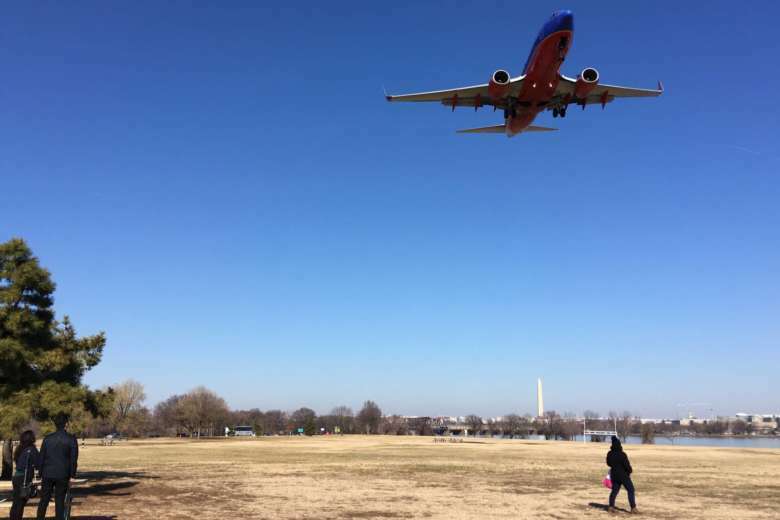 D.C. residents concerned about increased airplane noise around Reagan National Airport would need to go to the U.S. Supreme Court if they want to continue their fight against the Federal Aviation Administration. WASHINGTON — After suffering their second legal loss in recent months, D.C. residents concerned about increased airplane noise around Reagan National Airport would need to go to the U.S. Supreme Court if they want to continue their fight against the Federal Aviation Administration. The residents, from Georgetown and a handful of other Northwest D.C. neighborhoods, were first rejected by the U.S. Court of Appeals for the District of Columbia Circuit in March. Then, a few weeks ago in July, the court once again handed them a loss by refusing to reconsider its decision. At issue are new flight patterns implemented by the Federal Aviation Administration that have led to noise complaints. “The flight path that we’re complaining about was instituted without any notice to the community or an opportunity to comment,” argued Richard Hinds, an attorney who represents the coalition of residents. But the court largely ignored that argument, telling the residents that they failed to meet a deadline to challenge the flight changes. According to the court, the FAA made its “final order” on the flight patterns in late 2013, and the residents didn’t file their petition until 2015. Noise complaints have been an ongoing issue since the FAA revised flight paths nationwide under its NextGen plan, which uses more precise, satellite-based navigation. Flights have been taking off at lower altitudes, on more frequent schedules and in more concentrated, narrower paths. Officials in Howard County, Maryland, and the state’s Attorney General Brian Frosh have filed petitions against the FAA, trying to get the agency to review its flight pattern changes, hoping to reduce the noise.